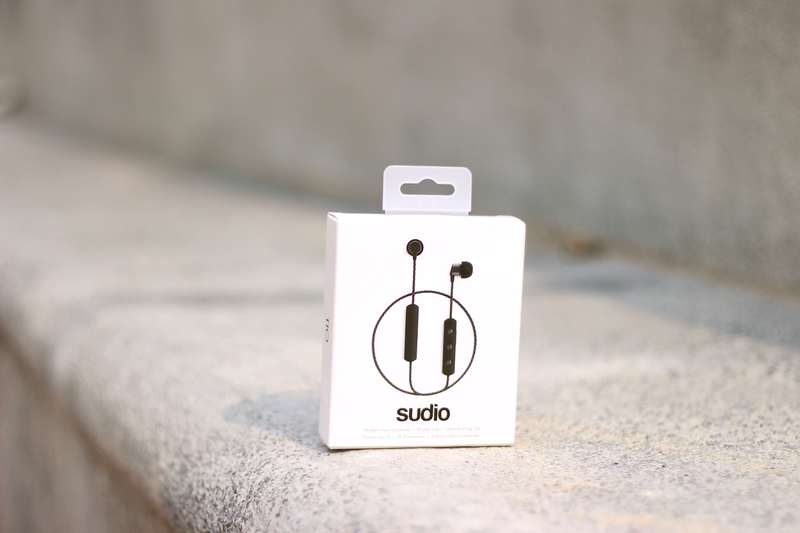 For today's post, I am very happy to collaborate with Sudio to share these amazing headphones with you guys! I am always very much impressed by their headphones because the quality are genuinely nice. So I tried the headphones Tio for a few days after receiving it. My conclusion is that it is definitely worth the money! Looks-wise, the headphones use casual fabric wires which is much more carefree in my opinion. Quality-wise, it is still in high quality when comparing with other models in Sudio. Tio also comes in different colour, including black, white, green and pink. More importantly, I have a great deal for you guys. You can use the discount code "Danielgift" to get15% off when purchasing headphones on the website! Description of headphones from the website: Our hybrid model, Tio, is so lightweight you might forget that you’re wearing it. Luckily, they come with 4 sizes of removable wing tips and a secure clip so they always stay in place. Tio’s combination of balanced sound with a touch of bass emphasis, a durable yet colorful textile cord available in 4 chic colors, and up to 9 hours of battery life make them the perfect addition to any lifestyle. They also feature our smallest housings ever to help anyone wear them comfortably. Those headphones sound so nice!! Oh this looks pretty awesome! These headphones look stunning and so cool!